Eating is more than just necessary: it’s one of life’s greatest pleasures! A meal is a celebration of taste and, at the same time, an opportunity for sociability and conviviality. Food is passion, and nobody knows this better than Luca, who has based his life’s work on this passion, successfully starting two of Livigno’s most respected restaurants: Il Camino, located just outside Livigno and surrounded by woods and meadows, and La Pòsa, right in the centre and accessed both from the pedestrian area and from a convenient car park. 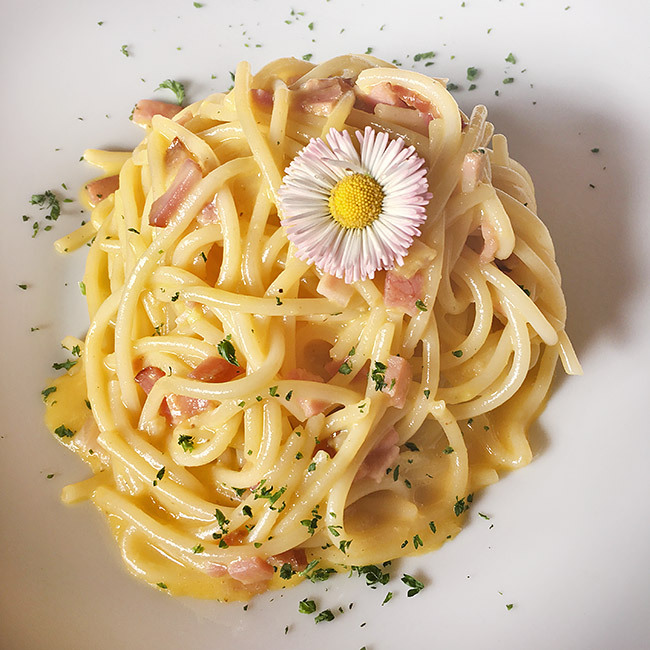 Il Camino restaurant is located at the edge of Livigno, and is one of the best in the area. 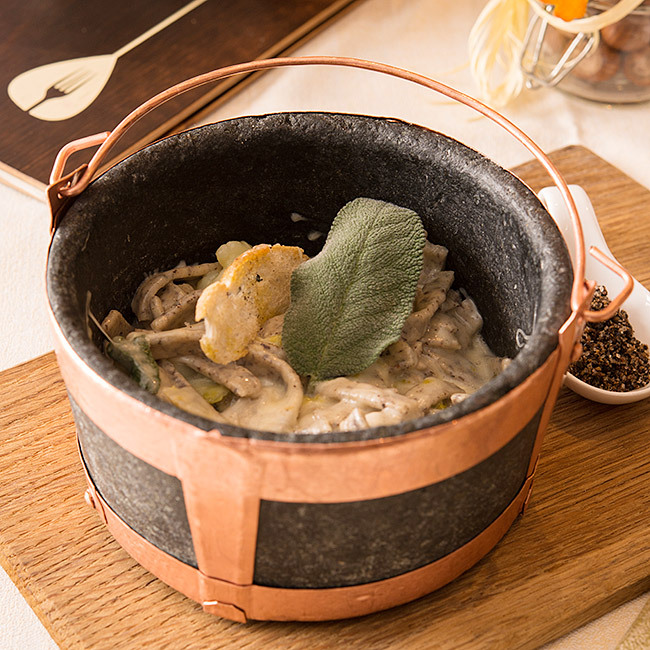 Here you can sample typical Valtellina dishes and gourmet specialities in a warm, friendly environment. The main dining room has a special feel, enclosed in the fragrance of larch wood that completely covers the walls. At Il Camino we seek to combine intelligent use of new techniques with a respect for the flavours of our culinary tradition. La Pòsa is a gourmet restaurant in the centre of Livigno, within the four-star Hotel Flora. Here you can enjoy both typical local dishes and Italian specialities, with home-made pasta and excellent pizzas. La Pòsa offers authentic cuisine, and the starting point is always exceptional quality ingredients. And it’s made even better by friendly service, a sophisticated setting and an extensive wine list, with special attention to Valtellina reds.